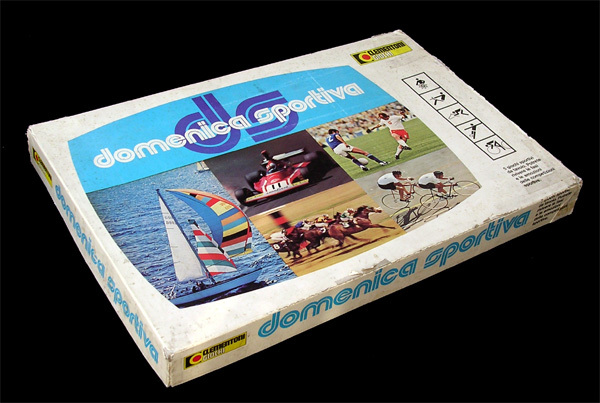 Named after a TV-series, this multi-sport box features games which are actually quite good (some Italian friends rate the cycling game in "Domenica Sportiva" amongst the best ever produced). 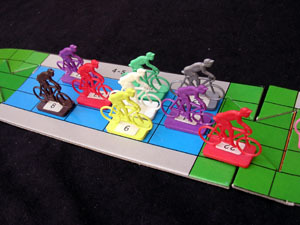 I wouldn't go so far (at least unless I study it more, but it does look quite good, with a modular track, some 30 cyclists and a set of rules not too dependent on luck). 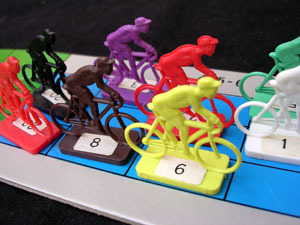 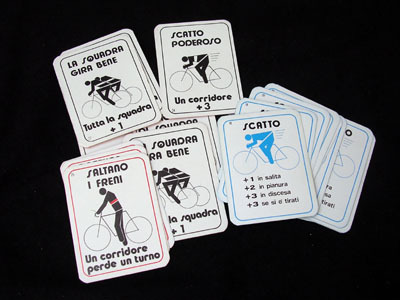 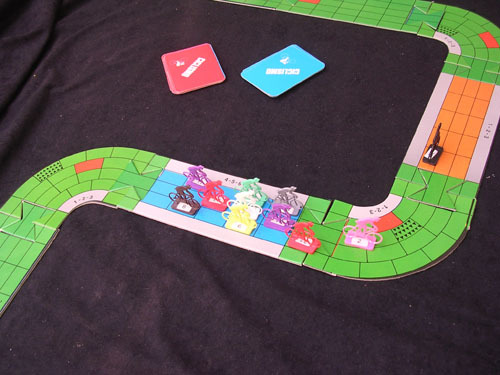 In any case, the game is better than the one on the companion box Domenica Sprint. 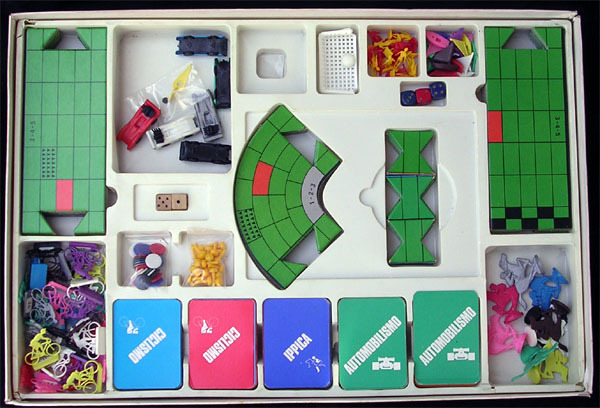 Contents of the box. 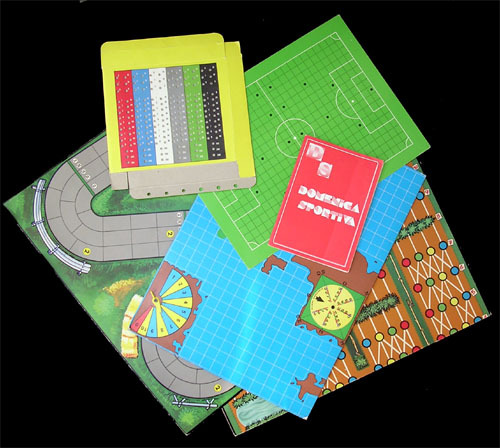 If you have to have it sent by mail, watch out, it is big and rather heavy!